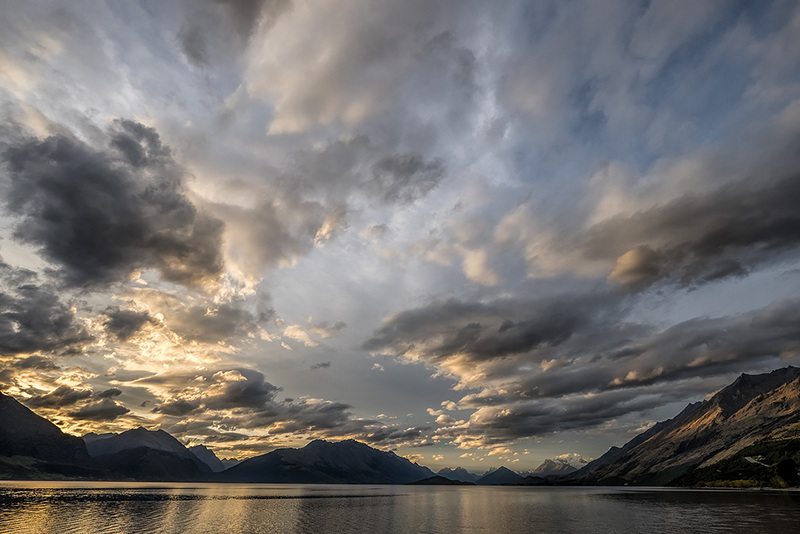 My friend Louise Shoemaker who traveled with us to New Zealand recently posted an image on Facebook where she said, “I can’t stop processing images from Lake Wakatipu.” I responded with, I understand! With that, I share one more from that wonderful first evening sunset. Wow, certainly looks like it was an incredible day! Hi John – incredible image. I really like it. I can see why it would be hard to stop sharing images from that day. I noticed on the last one that you used the XT1. Did you use it here? How often do you use the XT1 on serious photo outings compared to the Canon? I have an XT1 that I use for more casual shooting and I am wondering if I should use it more for really serious multi day photo trips. The weight savings is very attractive. Thanks Brian. I use the Fuji system for 98% of what I do now. It is all I brought to New Zealand. All I brought to Cuba… all I have a desire to use anymore to be honest. Wow. That’s saying something that you would take those two trips with the Fuji as your sole camera. I almost feel I can tell a Fuji image when I see it. The sky in the photo above looks almost three dimensional. Really nice. Did you get a new smaller RRS tripod and ball head or just use what you had? I think I will give it a try on my next serious outing. Yes, sort of…. I have switched to the Arca Swiss P-O head with a RSS quick release plate. Love that head. LIGHT and works really well. I am using a RRS tripod as well. It was the one I used with my Nikon gear but is not the biggest rather the one below that. Still tall for me but lighter and more packable. The 24XL or something like that as I remember? You will laugh at the next post…. XTellent Cloud Man! Magical moments!